Yesterday was World Squash Day 2010! We were challenged by the World Squash Federation to introduce new players – including 20 children – to our sport. Now our challenge is to keep them involved in a modern world with literally hundreds of alternative activities – how can we do this? Actually – it is not that easy. Parents, athletes, administrators and even squash coaches tend to view sport in an overly simplistic fashion. That is not surprising given that most have very little academic background and direct professional practice experience with large numbers of children – what they have is their own subjective experiences: their own childhood memories or interaction with their own children. In addition to having taken academic courses in the area (e.g., Developmental Psychology) I have been doing summer camps with kids for the past 37 years (yikes!) 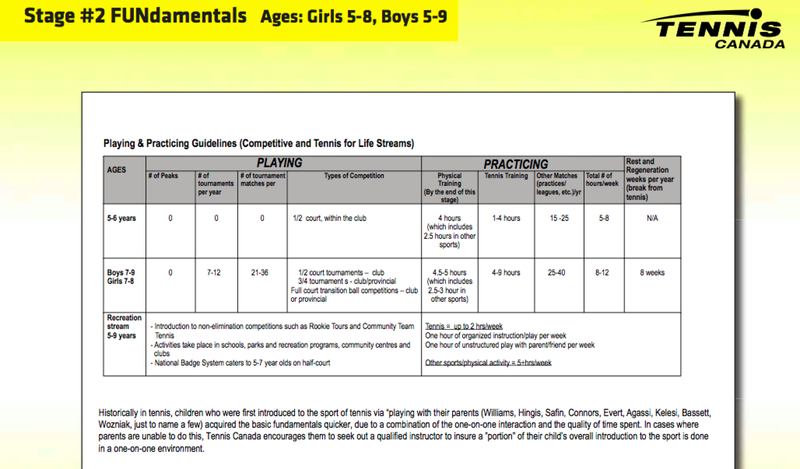 and written materials for coaching programs on how to best coach children from a psychological standpoint (e.g., the Tennis Canada Under 11 Coaching Program). Most people tend to interact with children in a simplistic “stimulus-response” fashion – “if I/we do this – the child with do that”; “this is bad for the child – that is good”, discounting the fact that children are in fact thinking, feeling, acting beings. Fortunately, there is a small group of researchers that seek to explain how children interpret and think about the feedback and interactions they receive around their sport and physical activity experiences. 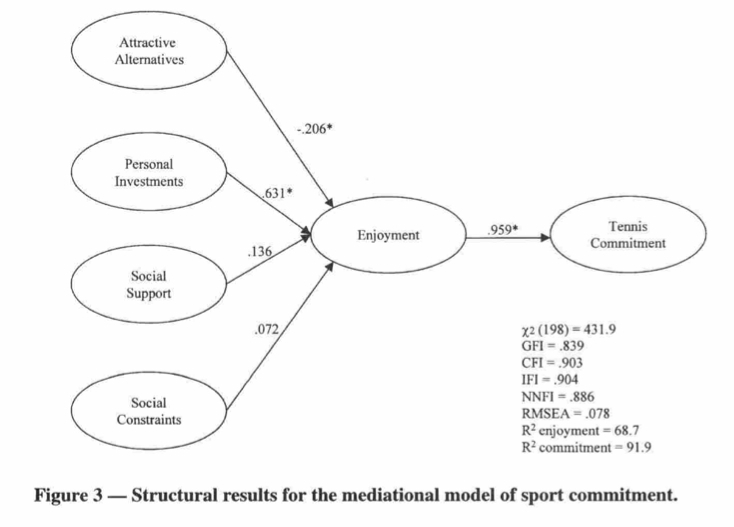 One of the simplest yet useful models we can use to understand our children’s participation is the Sport Enjoyment Model originally developed by Scanlon and Lewthwaite in 1986. As illustrated in the figure below, the factors that determine a child’s participation (e.g., parent’s support, alternative choice of activities, etc.) first affect a child’s enjoyment, which in turn determines their motivation to participate in sport (i.e., their sport commitment). Finally – A Blueprint to Develop a Squash World Champion! The great news is that we now have a carefully crafted, precise, document (an LTAD) that incorporates all of the most recent sport science information to guide squash coaches and parents in how to introduce children to squash – and how to ensure their optimal development. The slightly sobering news (for squash) is that this document has been produced by a tennis, not squash organization – Tennis Canada. My first coaching certification was actually for tennis – I received my Tennis Canada Level 1 Certificate way back in 1976 (one year before I started playing squash). 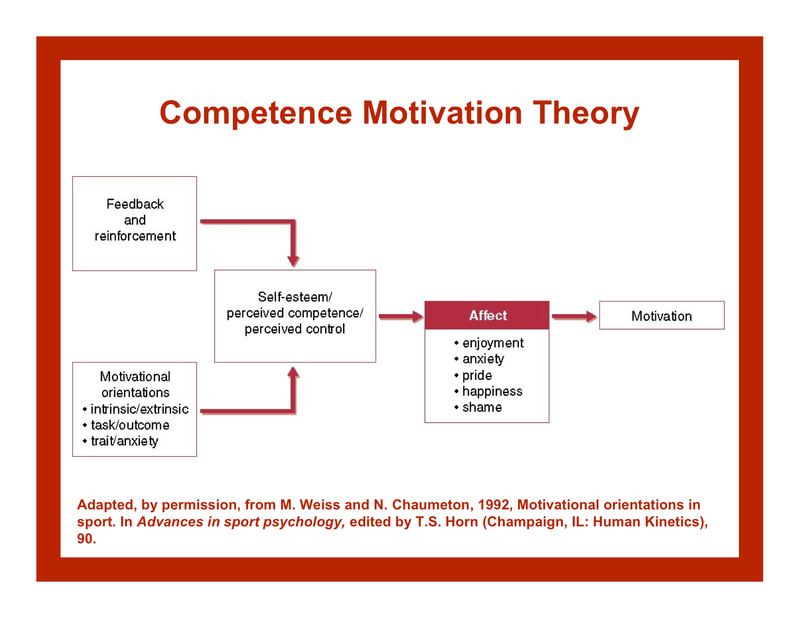 In 1987, I moved to Montreal do a Ph.D. in Sport Psychology at the Universite de Montreal and within a few weeks designed and implemented the mental training program for Andre Lemaire’s Elite Tennis Junior Training Group – most of his athletes were enrolled in the Boucherville Sport Etudes program at the local high school. It was a talented group of athletes, with two of them “Les Deux Sebastiens” winning Jr. Wimbledon, French, and U.S. Open Doubles the next year – as well as being members of the 1989 Sunshine Cup championship team. Sebastien Lareau went on to be ranked #1 in the world in doubles and an Olympic Gold Medal in Sydney (beating beat the Woodies). My work with this group led to further work (and a Level III Technical Certification) with Tennis Canada including the writing of several chapters in coaching manuals, coaching conference presentations, and the training of some of their national coaches in sport science (including Davis Cup Coach Louis Cayer who has been stolen away by the British LTA to head up their coaching programs). I am including this trivia as support for my main point ,which is that Tennis Canada runs the most effective and efficient coaching programs in the world – due mostly to a small, dynamic group of people led by Ari Novick with minimal interference from the Association’s volunteer executive. Keep in mind that Canada is now the #1 sporting nation in the world (winter sports:). 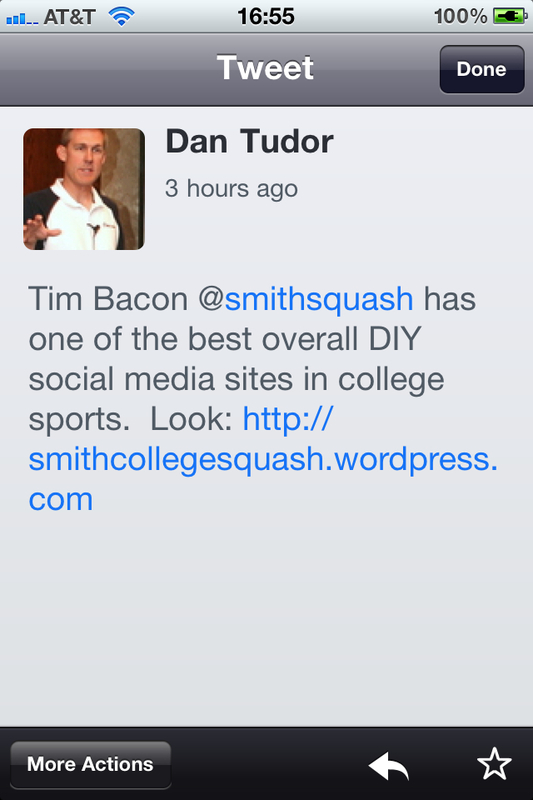 These shortcomings apply to nearly all of the major squash nations. An overemphasis on technique and early specialization – at the expense of developing physical literacy (overall athleticism) – is the downfall of most junior coaching (and the current demise of U.S. tennis). 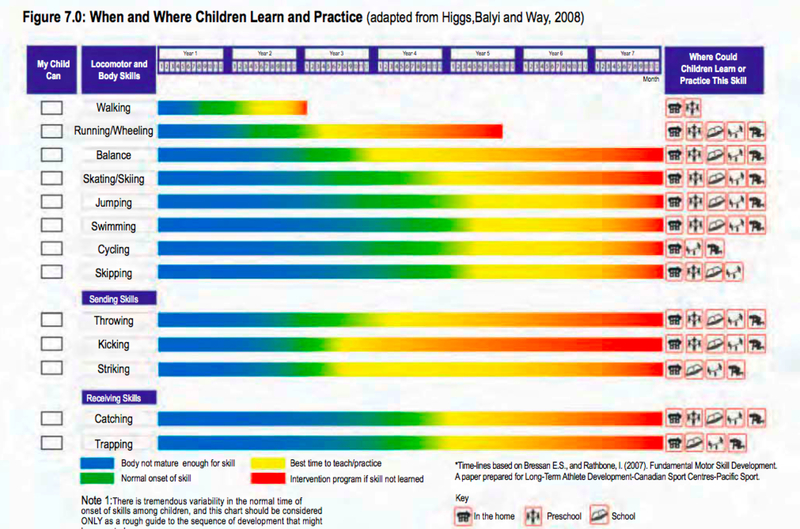 This chart clearly delineates the time frame for optimal development – and the important responsibility of parents. This slide provides very specific advice for my alum, and other squash parents about when to start and how much to play. 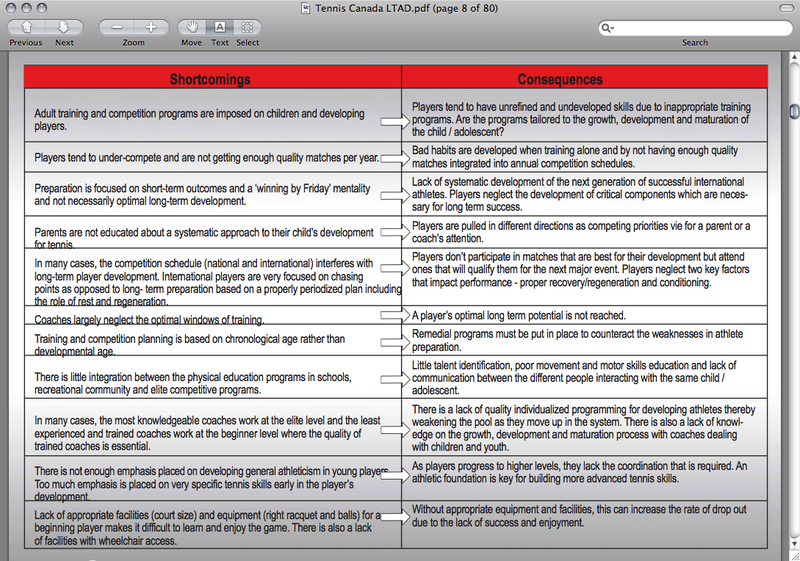 The Tennis Canada LTAD is a great starting point for those national squash organizations interested in systematically and optimally developing their squash juniors – and it is free! Parents have a responsibility to play catch and ball games with their kids several times a week from the earliest possible age (3, 4, 5, etc. ), and to make sure they have a lot of opportunities for FUN sports participation in a wide variety of activities – not just squash. 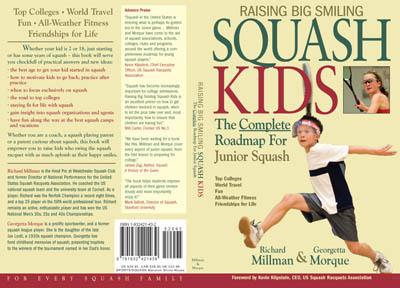 Realistically, junior tennis programs (since they are now starting to be good thanks to ITF initiatives) are probably one of the most viable options for squash parents in most parts of the world, gradually switching kids over to squash as they start to approach the age of 10. 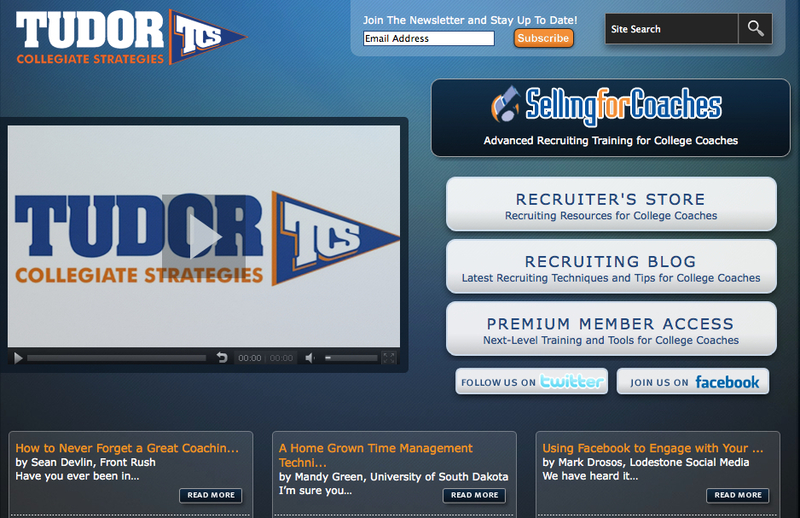 Focus on developing a wide repertoire of attacking skills and tactics. 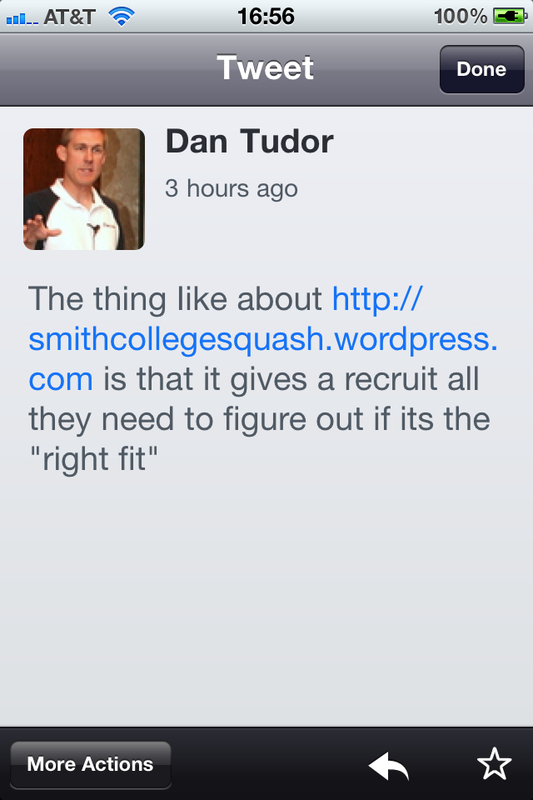 Unfortunately there is no clear overview of the path to developing a top world class squash players. Although several countries (e.g., England) have initiated long term athlete development plans (LTAD), they are short on specifics to the point that the average squash coach does not receive meaningful direction from them. And of course the plans are not even available to the club coach! 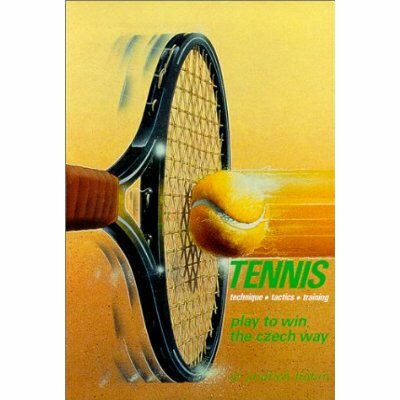 Jindrich Hohm’s 1987 book Tennis: Play to Win the Czech Way shows the exact detail to which squash coaches must go to develop world class players – any of the German Tennis Federation books are also excellent prompts for squash coaches. Early maturers can win at the junior level with fitness and defensive, conservative tactics – something that is often reinforced by adults in their environment (i.e., parents, coaches). Once juniors reach the adult ranks everyone is fit and possesses excellent basic tactics. Most top juniors end up languishing for years ranked 40-100 on the pro tour, never quite able to break through. 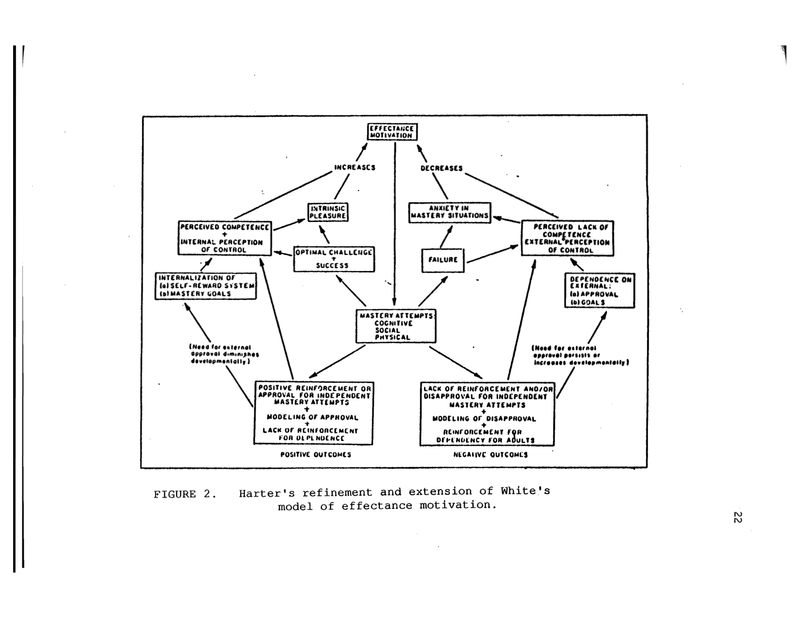 This unrealized potential can be traced back to being sidetracked by early success (“I have a good ranking so I must be doing the right thing”), instead of a longterm focus on developing a wide variety of athletic abilities and the ability to play an attacking, pressuring style (with considerable deception). The average (exceptions to this are more prevalent in squash than say tennis due to the lack of depth in both the men’s and women’s game) age of peaking in squash is about 27-28 for both women and men – therefore squash is a late-development sport. Focus on develop a wide repertoire of attacking skills and tactics. I have already written a few articles on the importance of systematically developing deception and an attacking (currently Egyptian) style from an early age. It is simply common sense that at the age of 20, when confronted with the situation that all opponents are fit and fast (with improvements and training highly accessible – you just have to increase effort), a player will find it very difficult to make the drastic changes in game style and technique required to set themselves apart from their opponents. The time for juniors to learn these skills and tactics is during the Golden Age of motor skill learning – so 8-12ish – or in the year or two after starting for those joining the sport late. It is also important to focus on the development of general (i.,e., not practicing shots on a squash court) as is outlined inn this video by Tennis Canada. In parts one and two of our three part series on Teaching Racquet Sports (such as squash) to Large Groups we covered the rationale for using adapted or modified (“mini”) racquets, balls and court size to enhance the learning of the very young or non-athletic adults or youths. We also covered the importance of using a “Rallying” versus “instructor feed” program so that the learning is relatively “open” and realistic so that players can fruitfully practice with each other outside of clinics and lessons (not possible if their only experience is a perfect coach-fed ball). We suggested that early learning could be split into three units based on the distance from the wall or partner: 6′, 12′ and 18′ – the objective being for the student to be able to consistently rally 10 in a row with a partner at each distance before moving on to the next. In our last post we covered Unit 1 from 6′ – and here are Unit 2 (12′) and Unit 3 (18′ ) explained in video. The learning of a correct grip is a fundamental that cannot be overlooked – a progressive program starting with minimal rallying distance is the only approach that quickly stabilizes a correct grip with large groups of unathletic learners. If the grip is not correct then it is impossible for the learner to develop other fundamentals (such as balance, correct swing paths, etc.). Optimal learning occurs when tasks are challenging (success ratio between 50-90% – made more difficult once 10 in a row is attained) and students learn by progression not correction (starting full court with a regular ball and racquet having to make frequent corrections to an “ideal’ swing). All of the most advanced tennis countries have now made the progressive approach their official pedagogy – it is time for squash (and other racquet sport) coaches to do the same. You are currently browsing the archives for the Juniors-Development category.